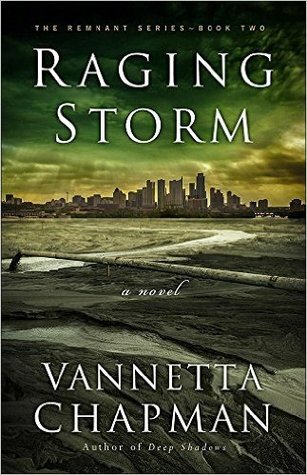 THIS WEEK'S RANDOM QUESTION: Are there any books you are really eagerly waiting for in 2017? How is it the end of the month already? Things have been so crazy around here I have accomplished barely anything...well, I sold a house and had a closing, but pretty much I feel like I've been running in circles. My father-in-law came home two Mondays ago and I had to call the ambulance the next day to bring him to the hospital. We almost lost him. After days of antibiotics and fluids, he finally checked out of the hospital and into rehab for some physical and occupational therapy. We hope he will be home soon. As a result, not a lot of reading going on. 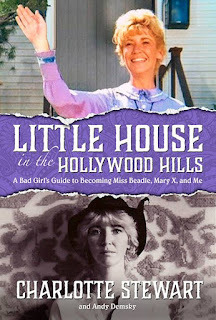 I am working my way through Little House in the Hollywood Hills, a memoir by actress Charlotte Stewart. I can't say I really knew much about the actress except that she played Miss Beadle on Little House on the Prairie and that she was in Tremors. Definitely gives me a glimpse into Hollywood's crazy hippie days. 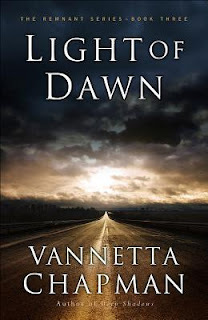 Vannetta Chapman also has a couple of books coming out. Tandem Demise is the third book in Duffy Brown's Cycle Path Mystery series slated for release this year. I would love to read that one. 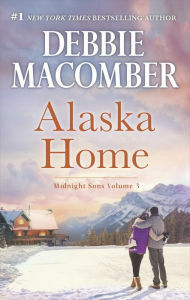 This upcoming release from Debbie Macomber sounds good. 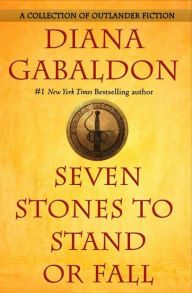 So does this late June upcoming release from Diana Gabaldon. I grew up in India, which also means that I was raised on a staple of British and European Literature. I suppose that's one of the reasons I can identify with the curious notion that the city is the center of life. I can sympathize with Haydn's desire to be in Vienna rather than in the backwaters of Eisenstadt, a small town in Royal Hungary, or Eszterháza, practically a village, some twenty miles distant from Eisenstadt. Being married to an American now, I also completely understand Haydn's employer's aversion for the city. Prince Nikolaus Esterházy liked nothing better than to stay in the tiny, remote, marsh-ridden village of Eszterháza. The hunting lodge he owned there was converted into a magnificent palace with its own opera house. The Eszterháza Palace is still known as the Hungarian Versailles. That's the backdrop you see on the cover of A Minor Deception. I suppose from the age of about six. Creative writing—spontaneously writing a story or essay based on a prompt the teacher gave you—was a weekly, if not daily, activity at the school I attended. And I loved it. My stories, essays, and poems were frequently read out in class. I was published in the school magazine, and served as its editor in my last couple of years. Later as a graduate student at UConn, I began selling freelance articles and short stories and wrote articles promoting events for the Von der Mehden Recital Hall. A few years later, I began working for CNBC, and then Reuters. I'm not sure I'd ever have considered writing novels if it hadn't been for two people I encountered at UConn. One was the author Scott Bradfield. He taught a creative writing workshop that I took, and although we work-shopped short stories, he suggested I consider writing novels. That advice stayed with me, although for the longest time I had no idea what to write about. And if it weren't for Janice Law, another mystery writer and one of my professors at UConn, telling students that we ought to write what we love, I doubt I'd have considered writing a mystery. I'd still be trying to write the Great American Novel! I have three young children—the oldest turns five on the 24th of January—and the youngest is about 18 months. So, I write when I can. I've often woken up at 5 a.m. to write for an hour before getting the kids ready for preschool. Sometimes, I write after the kids go to bed. At other times, I'm writing while the rest of the family is eating dinner. And then there are times when my muse insists I ignore the temper tantrums around me, and just write. 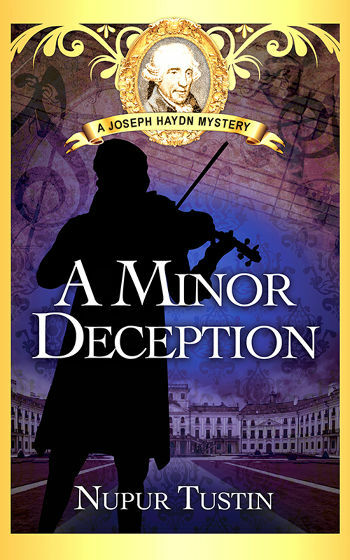 Set in December 1766, A Minor Deception is a biographical mystery that features the composer Joseph Haydn as the protagonist. Although winters were usually spent in Vienna, the winter of 1766 is unusual. The Empress Maria Theresa will be visiting Eisenstadt instead. But things threaten to go awry when a virtuoso violinist, recently hired for the imperial visit, disappears from his post. Replacing Bartó, however, is the least of Haydn's problems. Both palace and town authorities are surprisingly reluctant to track Bartó down. 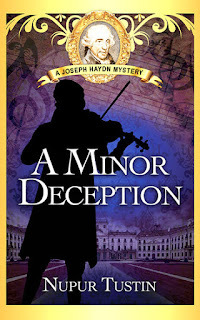 And when Haydn begins his search, he comes to realize his violinist was a man with a deadly secret. What seemed like a minor musical mishap could turn into a major political crisis unless Haydn can find his missing virtuoso. I'd been reading a number of biographical mysteries—Stephanie Barron's Jane Austen series, Susan Wittig Albert's Beatrix Potter mysteries, and Bruce Alexander's series about John Fielding. And I'd just come out of a Ph.D. program, and, as a new mother, was pretty much confined to the house with a baby with severe acid reflux disease. Researching a historical mystery seemed the best way to keep boredom at bay. I love classical music, so researching a composer appealed to me. It was a way of keeping up with my music—by reading about music history and studying theory—at a time when I had very little time for the piano. Haydn's story and his personality quite simply captured my heart. Apart from Haydn, I'd have to say Rosalie. She's a completely fictitious character, a palace maid who along with her friend Greta helps Haydn solve the mystery. Like Venus rising from the sea, Rosalie sprung from my imagination, fully formed. Not content with the rather minor role I gave her in the first draft of A Minor Deception, she demanded and received her own POV (point-of-view) and scenes of her own. Her role provides the cozy element in A Minor Deception, and the downstairs dynamic the book gets as a result enables me to portray the complexity of eighteenth-century society. Social mobility wasn't quite as impossible as we consider it to be. Haydn himself rose up the ranks by virtue of his talents. His mother was a cook, and his father a wheelwright. Gluck was another musician of the period who did very well for himself. And Ditters, a virtuoso violinist and friend of Haydn, was knighted, and came to be known as Ditters von Dittersdorf. Surprisingly less rocky than I would have expected, although anything worth having, I think, involves some pain. When I prematurely queried the first draft of A Minor Deception, based on what I'd heard, I expected to hear. . . crickets. Seriously! Imagine my surprise when I received requests for my manuscript within minutes of sending out my query. One agent was kind enough to call, and tell me what was going wrong with the manuscript. I took down notes as she spoke, but her advice was rather cryptic. And it took some weeks of watching the Murdoch Mystery Series on television before I realized what she meant by beginning with the "story." We tend to be less tolerant of extraneous scenes in television shows than we do in books. And I'd begun the novel with backstory! I used the agent's advice, a developmental editor's identification of plot holes, and Kris Neri's course on plotting mysteries to re-write the novel, and knew I had a winner. That impression was confirmed when I started re-querying agents. Even agents who thought the book wasn't for them, predicted it would be a huge success. I hope it will. 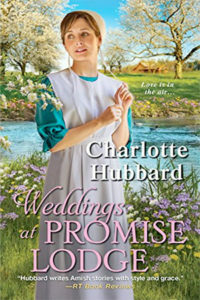 I feel so blessed to have endorsements from my favorite authors: Emily Brightwell, Kate Kingsbury, and Amanda Carmack. My very first Netgalley review was resoundingly positive. So, I think I've been very fortunate. I'm actually glad I knew nothing about the publishing world when I started out. I never would have embarked on this journey if I had. Just as I would never have had children if I'd known how tough it is to be a parent. But I can't imagine life without my children, and I can't imagine not being a writer. There are some hard truths you have to accept when you become a writer—that it's a business and you need to market and promote your books in addition to writing them. I accept this part of it just as I accept my children's temper tantrums and frequent bouts of ill-health. No matter what the trials and tribulations, some dreams are still worth having. Print copies are available on Amazon and Barnes & Noble. Ebooks can be purchased from Amazon, Barnes & Noble, Kobo, and iBooks. No. What I have is a text trailer, by which I mean a series of 10-12 excerpts that I worked on for another blog tour. I think it's a fun way of giving the reader a tantalizing glimpse into the book. Selecting scenes from a book is rather like selecting scenes from a movie to create a trailer. The excerpts still need to form a narrative of some kind. I enjoyed working on this, and I hope readers will enjoy it, too. The biggest challenge facing a new author is exposure. People can't buy your book unless they know it exists. There are a number of effective strategies available to authors: Goodreads Giveaways, a Netgalley listing, and guest-blogging for fellow authors. But the most enjoyable one, I think, is going on a blog tour. This is probably the best way of meeting new readers short of having an event in a bookstore. And it's so much fun. Amy Bruno, who organized this tour, has been such a pleasure to work with. And I do like blogging. I was going to say: "Don't give up!" But a better piece of advice I think would be to join Sisters in Crime, and then to join the Guppy Chapter. I'd never heard of either until Susan Wittig Albert mentioned them to me. I'm so glad she did. I wouldn't be here if it weren't for that very sage piece of advice. Aria to Death, the second novel in the Joseph Haydn series, is complete. It delivers a double-dose of history with Haydn on the track of a dangerous killer as well as the lost operas of Monteverdi. I've now begun researching Prussian Counterpoint, the third book in the series. We'll meet C.P.E. Bach, the man Haydn counted as his mentor and Frederick of Prussia. I also want to get some composing done before it's time to launch Aria. For readers more interested in Haydn and his life, I'd suggest taking a look at my blog: ntustin.com/blog. I share snippets of my research and anecdotes from his life. I also share music and research in the Haydn newsletters. You can sign up from my web site: www.ntustin.com. And for anyone interested in listening to my music, the sheet music tab on ntustin.musicaneo.com has audio samples. 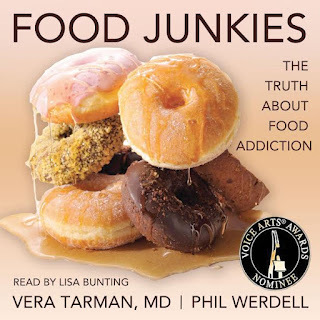 Vera Tarman is a medical practitioner who focuses on addictions. She is the medical director of Renascent, an addictions treatment centre. 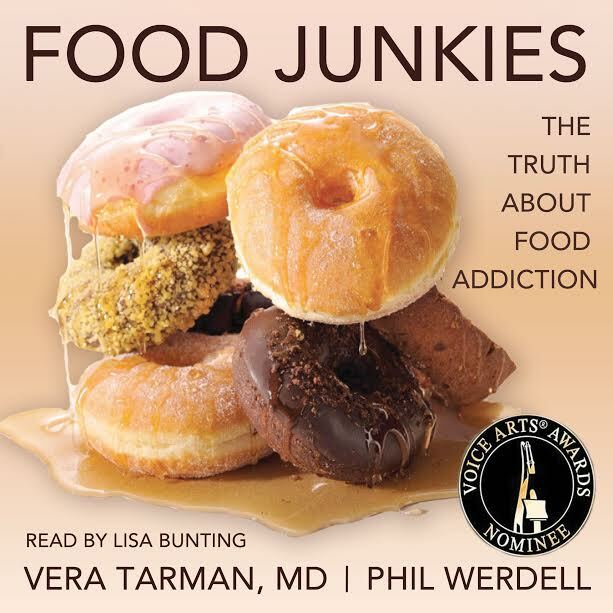 Dr. Tarman conducts workshops and speaking engagements on the science of food addiction and "comfort food" abuse. She has reached audiences across the world. She lives in Toronto. will give you the basic information you need to begin self-publishing. step-by-step tutorials will help you create a professional quality book. publishing your book. Grab your cape. It's time to be an indie publishing hero! Simple Quick Start Guide to Book Marketing by E.J. Stevens. common pitfalls. Later chapters provide information on what to do after your book launch, including how to make your book available in additional languages and in the increasingly popular audiobook format. At the end of this guide, you’ll also find a publishing checklist and a list of useful resources. Guide to Self-Publishing. In addition to my 2017 nonfiction releases, I will be publishing two more books in the Ivy Granger series and two books in the much anticipated Whitechapel Paranormal Society Victorian Gothic horror series. 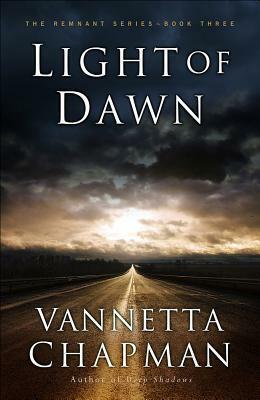 winner for Best Novel and Best Book Cover, SYAE finalist for Best Paranormal Series, Best Novella, and Best Horror, winner of the PRG Reviewer's Choice Award for Best Paranormal Fantasy Novel, Best Young Adult Paranormal Series, Best Urban Fantasy Novel, and finalist for Best Young Adult Paranormal Novel and Best Urban Fantasy Series. My books have flown to the top of the Amazon bestsellers lists in numerous categories. I have repeatedly hit the Amazon top 100, and have hit #1 in a variety of categories such as the Mythology & Folktales Fairy Tales category and the Mystery, Thriller & Suspense Psychics category in Amazon stores worldwide. Card, Rachel Vincent, Paul Tremblay, Maria Snyder, Leanna Renee Hieber, David Coe, Kit Reed, Peter V. Brett, Jacqueline Carey, and Max Gladstone. online. I was frustrated by conflicting information, outdated books and websites, dead links leading to 404 errors, and false information posted by people with no industry experience. will help if you wish to learn more advanced publishing skills. THIS WEEK'S RANDOM QUESTION: What do you think about books being made into movies or TV shows and do you always read the book first? Happy Monday! I hope you had a great week. I've gotten back into work full throttle since the holidays and this week's calendar is jam packed. I'm currently reading this book by Charlotte Stewart, who played Miss Beadle on the classic television show, Little House on the Prairie. She is the fourth cast member-that I know of--to come out with a memoir. Melissa Gilbert (Laura Ingalls Wilder), Melissa Sue Anderson (Mary Ingalls Kendall), and Alison Arngrim (Nellie Oleson) have also written books. There is a brouhaha in the Laura world over the creative license Michael Landon took with the show based upon Wilder's books. Some Laura fans refuse to watch Little House on the Prairie because of the inaccuracies. I am a Laura fan who appreciates all the different ways Wilder's legacy is celebrated: books, television, fan fiction stories, live productions, and visits to historical sites. Did you read the books or watch the show? What do you think? This conversation also leads nicely into today's question. As long as the productions are done well, I like it when they turn books into television shows and movies. 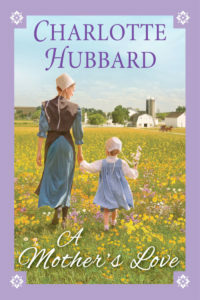 Many times I read the book first, but in the case of Little House on the Prairie, Anne of Green Gables, and The Thorn Birds I saw the television version first and then read the books. In some ways, I prefer the Anne of Green Gables movies to the first three books they are based upon. The way they changed some of the relationships in the second movie worked much better. How about you? Book first? Movie first? A combination? Long before there was 24 hours news and calls for transparency, a president's wife and his personal physician were able to cover up the fact that he was gravely ill and she had stepped in to run the country. 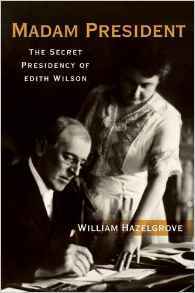 In Madam President: The Secret Presidency of Edith Wilson, best-selling author William Hazelgrove creates an engaging account of a strong, independent-minded woman whose devotion to her husband ran so deep she would deceive an entire nation. During Woodrow Wilson's second term in office, physical strain and ill health led to him suffering a devastating stroke that left him confined to bed for weeks and sequestered from everyone except his second wife, Edith, and his personal physician, Dr. Grayson. Knowing the importance of reducing her husband's stress, Edith--who had always been kept abreast of current affairs--began selecting what matters she would share with the president and delegated others to cabinet members. Hazelgrove's account sheds significant light on this period of time that Edith was secretly running the county. Though she had limited schooling, her close relationship with her husband and his acceptance of women playing a greater role than society found acceptable paved the way for her to step into his shoes. Hazelgrove doesn't sugarcoat things, though. Edith had a darker side. She disliked certain people with as much passion as she loved her husband. She could hold grudges for a long time. Her contempt for Wilson's vice-president, Thomas Marshall, was part of the reason she embarked upon what she called as her "stewardship" during her husband's illness. She also sought to replace people she felt were disloyal to him. Madam President shares a great deal of personal and historical information, making this a love story that unfolds during one of the most tumultuous times in American history. Though I was fully aware of the history and of Wilson's incapacitation, I honestly didn't know much about Edith Wilson. She truly was a woman before her time. Madam President is a fascinating account of this complex, staunchly loyal woman. 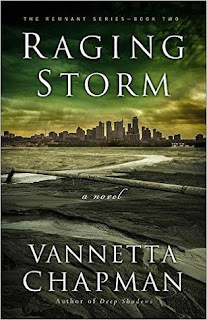 I received a free digital copy of this book from the author. This review contains my honest opinion, which I have not been compensate for in any way. Not sure if self-publishing is for you? Need some help managing a project you plan to self-publish? Looking for marketing ideas for your self-published project? Maybe you're thinking it's time you take this writing thing seriously and treat it like a business. 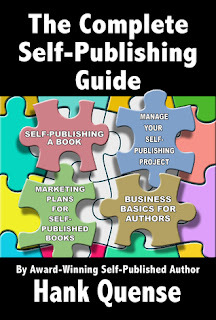 The Complete Self-Publishing Guide by Hank Quense will help you with all of it. These valuable guides will give you the tools you need to tackle that self-publishing project you've been thinking of for ages. Though tons of writers self-publish these days, it's not always easy to know how to go about it. That's why Quense put together a series of books that will give you the scoop on what you need to know. 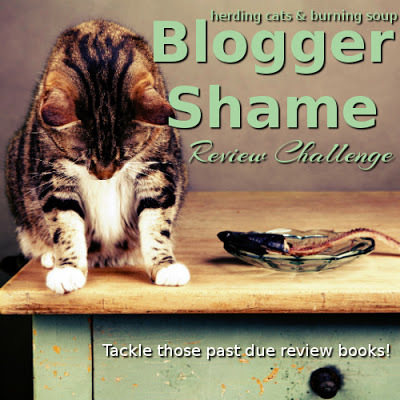 We reviewed Self-Publishing a Book a couple of years ago. You can read the review here. 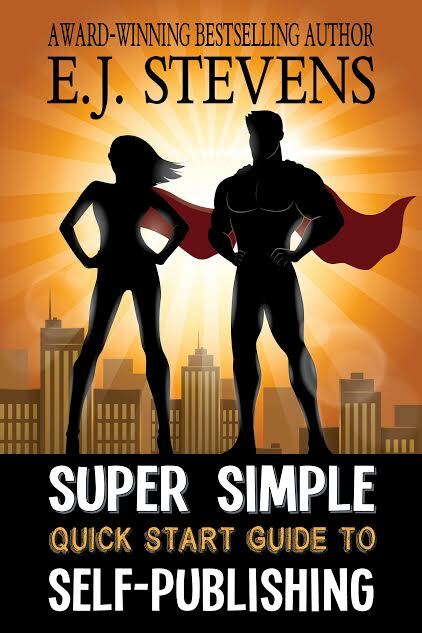 The same no-nonsense, down-to-earth style can be found in each of the guides that the author ultimately compiled into one collection for less than you would pay for each book separately. As you read through each book in the series, you'll find that some of the information is helpful even if you're not self-published. Having published numerous books and dozens of short stories and articles, Quense has the expertise to share project management and business ideas that you can use in your writing business every day to help you work more efficiently and have a plan for today and the future. 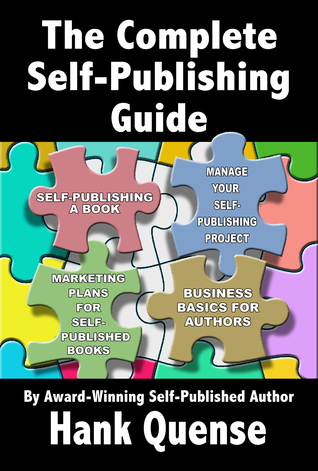 Before you take another step in the process, read The Complete Self-Publishing Guide by Hank Quense. You'll be glad you did. The author gifted me a free digital copy. This review contains my honest opinions, which I have not been compensated for in any way. 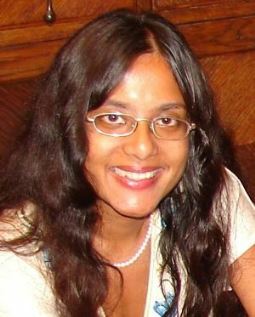 I am an award-winning writer originally from Long Island and now living and working in Santa Barbara, California. 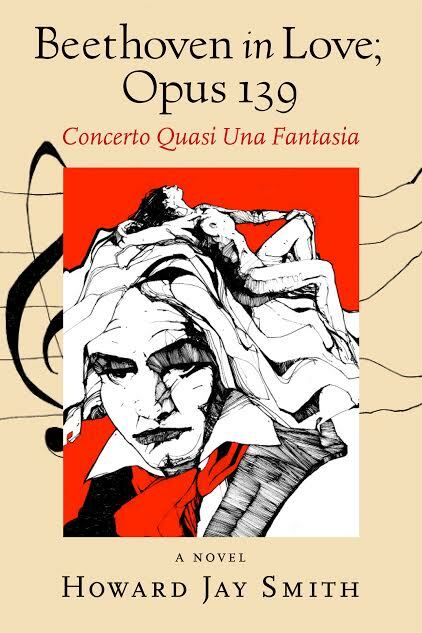 “Beethoven in Love; Opus 139,” is my third book. I taught for many years in the UCLA Extension Writers’ Program and have lectured nationally. My short stories, articles and photographs have appeared in the Washington Post, Horizon Magazine, the Journal of the Writers Guild of America, the Ojai Quarterly, and numerous literary and trade publications. 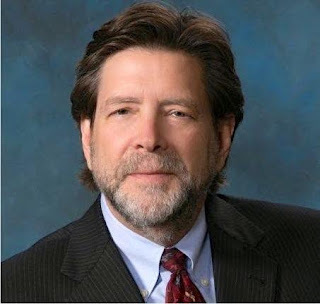 While an executive at ABC Television, Embassy TV, and Academy Home Entertainment, I worked on numerous film, television, radio, and commercial projects. I currently serve on the Board of Directors of the Santa Barbara Symphony – “The Best Small City Orchestra in America” - and I’m a member of the American Beethoven Society. Syosset, Long Island, New York. Writing a very, very short story about piloting a Cessna 172 when I was twelve. At the moment of his death, Beethoven pleads with Providence to grant him a final wish—one day, just a single day of pure joy. But first he must confront the many failings in his life, so the great composer and exceedingly complex man begins an odyssey into the netherworld of his past life led by a spirit guide who certainly seems to be Napoleon, who died six years before. This ghost of the former emperor, whom the historical Beethoven both revered and despised, struggles to compel the composer to confront the ugliness as well as the beauty and accomplishments of his past. 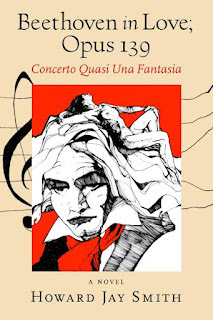 “Soloist” first-person chapters written by Beethoven himself alternate with the orchestral voices of people close to this magisterial figure, people who loved him yet also had to endure his passions, eccentricities, quirks, obsessions, suicidal tendencies, and downright nasty behaviors. When I was not yet twenty-one and going to school overseas, I underwent a near death experience in the course of a severe motorcycle accident. As my body somersaulted through the intersection, time stopped and a great and profound sense of peace and calm overtook my consciousness. Fear, especially the fear of death we all share, disappeared. The biggest shock was landing very much alive – and in pain – on the other side of the crossroad and not the “other side” of life. Years later, when I read the story of Beethoven’s death and how at the last moment he railed against the heavens, I wondered what it would have taken for this great man to come to peace with all the turmoil and failings of his life. And in that nugget of a thought, the novel was born. Before his death at age 98 ½, two years ago, my dad was my greatest supporter. He introduced me to classical music – and Beethoven – as a child and was thoroughly thrilled that I had completed a full manuscript draft and was selected to join the Board of the Symphony before he passed. When I was young writer just starting out I was a member of a writers group. My fifteen years in Hollywood however broke me of the habit of sharing anything with anyone as the theft of ideas is rampant and real. Since going back to writing fiction I share my drafts with a small cadre of friends whom I know I can trust not only their feedback but their integrity as well. I have three actually, Cervantes, Borges and Murakami. I have worked with many agents in the past, especially in Hollywood, with mixed results. I currently do not use one. The book industry seems to be changing so much that most agents are unable to actually sell much of anything unless it is a high concept or celebrity driven product. “Beethoven in Love; Opus 139,” is neither. “Beethoven in Love; Opus 139,” is my third book but the first in the many years since “Opening the Doors to Hollywood,” a guide book for want-to-be-screenwriters, was published by Random House. After searching traditional publishers, I choose instead to go with a friend’s small press. Once we agreed to work together, the process was generally smooth. I had near totally control over the process, from the design and layout to the cover. I was also especially fortunate that my son, the artist, Zak Smith, whose work hangs in eight museums around the world, agreed to do the cover art and came out with a painting of Beethoven and his Immortal Beloved that has become a new icon. Yes, I invested a fair amount of money in a traditional book publicist with a great track record hoping to get national publicity and reviews. What I did not know at the time was that the times they are a changing. The old methods do not work well in this day and age. She had no experience in using the web or social media and her methods did not generate the level of business my publisher and I expected. As a footnote, I am now working with Dorothy Thompson and having far greater penetration and exposure. It has taken an enormous amount of work, but using Facebook to its creative maximum has worked best. I created a data base of 5,000 friends, post daily to nearly 50 groups, and advertise key posts regularly. Be passionate about what you do and what you write – or don’t bother at all. While writing about Beethoven I rediscovered the pleasure of working with music as a background component. My next project is about Mozart and his librettist, Lorenzo Da Ponte, and the scandals their operas created in their time. THIS WEEK'S RANDOM QUESTION: Have you joined any challenges in reading for the new year? Do you have any general goals book or even not book related for 2017? Happy new year, everyone! I hope you had a great holiday season. Things are a bit somber here. After having the troops home for nearly two weeks, everyone goes back to their regular schedules tomorrow. Sigh! 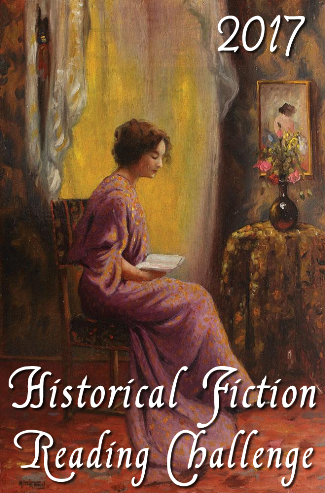 I love historical fiction and desperately need to whittle away my TBR pile. 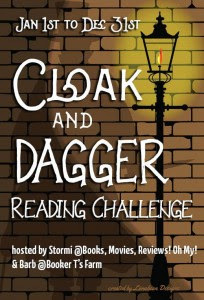 I've also joined the Cloak and Dagger Reading Challenge at Books Can Be Deadly and the 2017 Picture Book Reading Challenge at The Children's and Teens' Book Connection. As far as goals, I have some work-related and others family- and fun-related. My first business planning meeting for 2017 is Friday. I need to get my goals together for that--my plan has been done for a few weeks now--but I know I am looking to double my business this year. In 2016, I had 66% increase over the previous year, so I should be able to pull it off. 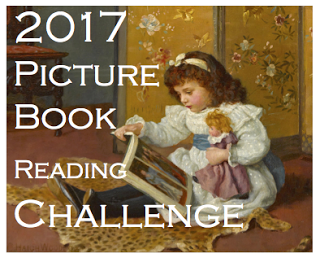 Participate in Picture Book Idea Month. I’ve participated in this endeavor twice, which resulted in Macaroni and Cheese for Thanksgiving being published, Amos Faces His Bully being under contract, and four other picture books written. I’m game to do it again. This might be optimistic considering all I plan to do with real estate, but we'll see how it goes. The most important goal, however, is to spend more time doing what I love: time with our family, reading, cooking, and gardening.